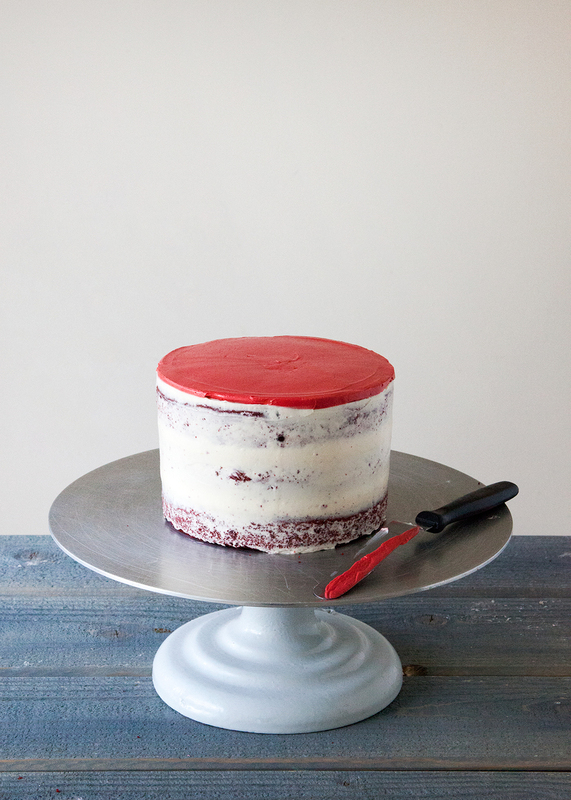 Tender red velvet cake layers have been smothered in a not-too-sweet peppermint white chocolate buttercream. 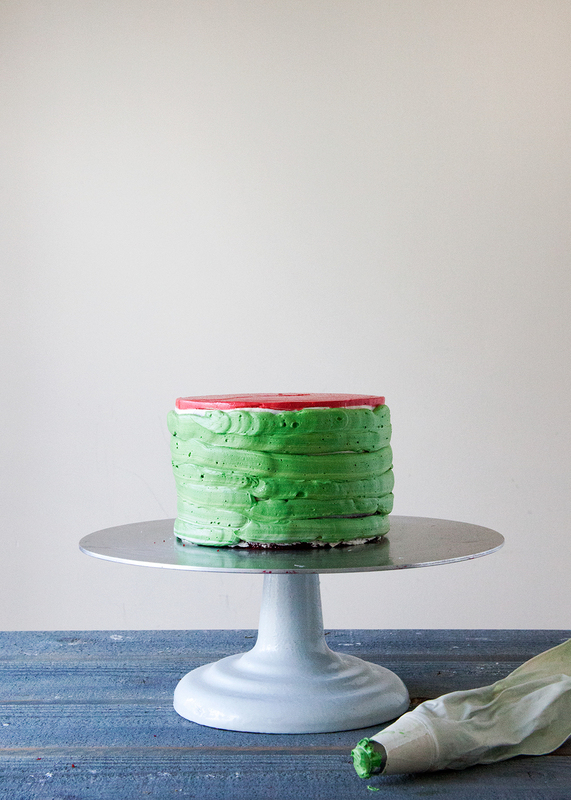 Finish off this whimsical look with swirly frosting, piped details, and extra sprinkles! 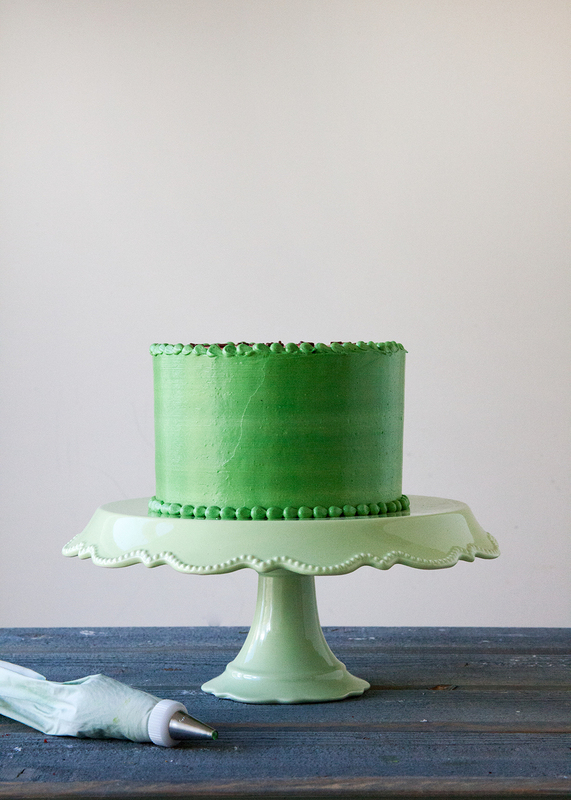 I don’t have much to say about this cake, except that you should definitely make it ASAP! We are down to the final days before Christmas, and if you have yet to finalized your holiday menu, then I strongly encourage you to add this cutie to your list. 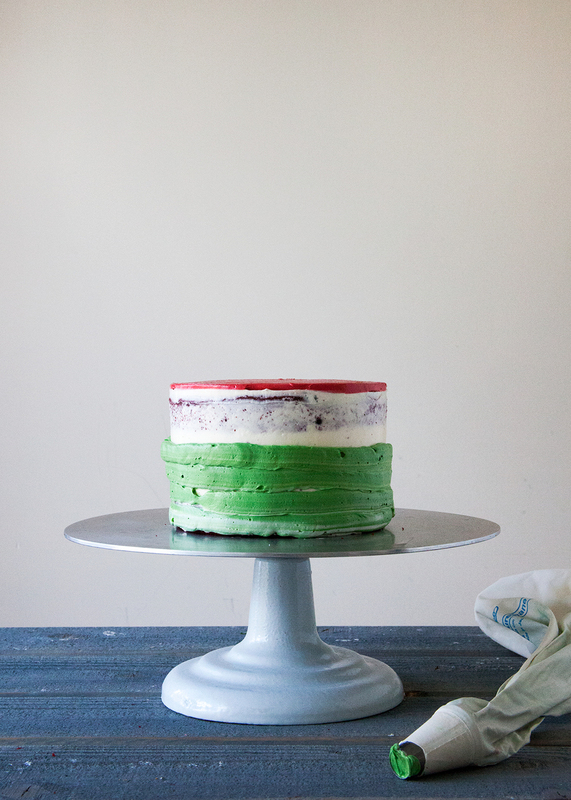 Unapologetically whimsical, swirly, and pink, this cake is full of joy and Christmas magic! 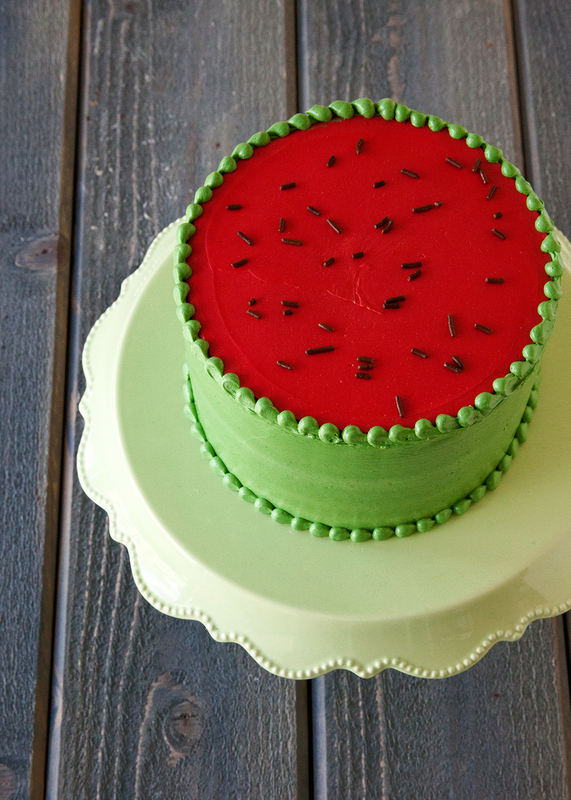 And if I can’t personally share a slice will you all, then please accept this virtual attempt to spread holiday cheer to all you cake lovers and dessert aficionados. This week is usually spent baking cookies with my mom and wrapping last-minute gifts (side note- I LOVE wrapping presents), but things have definitely changed these past couple year. We won’t be flying out to California until the 24th, so this week leaves me with plenty of time to reflect and get homesick. I’ll try to focus on the former…. It’s just the little guy and me at home (with the hubs at work everyday). The weather is an absolute mess (yesterday’s gorgeous snow turned to slush) and all of Everett’s regular activities are on hold until after the New Year. In the meantime, we will try to fill our days with cookie-making, coloring, and lots of snuggles. But back to this cake. I designed it with my little one in mind. Seeing Christmas through his innocent eyes this year has been pure magic. He still is a bit behind in the language department, but “Sansa” has become his new favorite thing to shout out (either he loves the idea of Santa or can’t wait until Game of Thrones returns, lol). So while you might find yourself trying to dig out from under a pile stress, chaos, wrapping paper, and sugar comas these next few days (me included), try to remember this is a season for love and ultimately FUN! 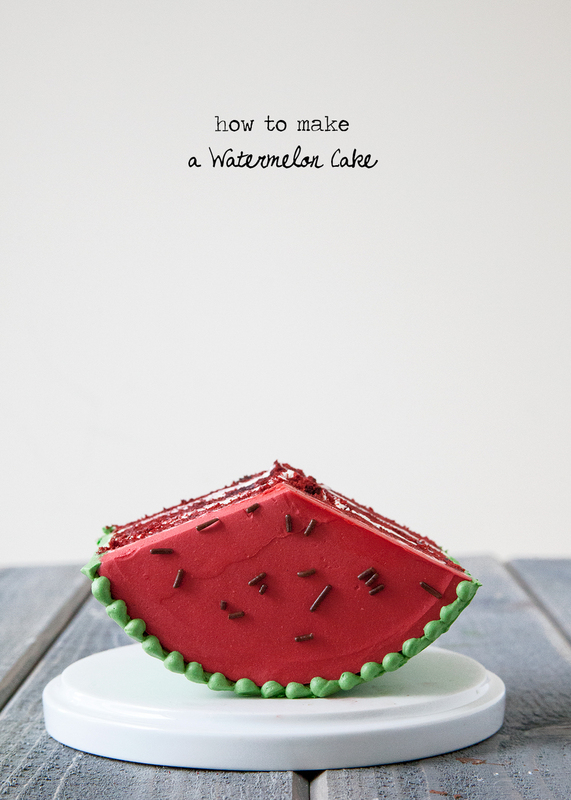 Head on over The Cake Blog for the full recipe! 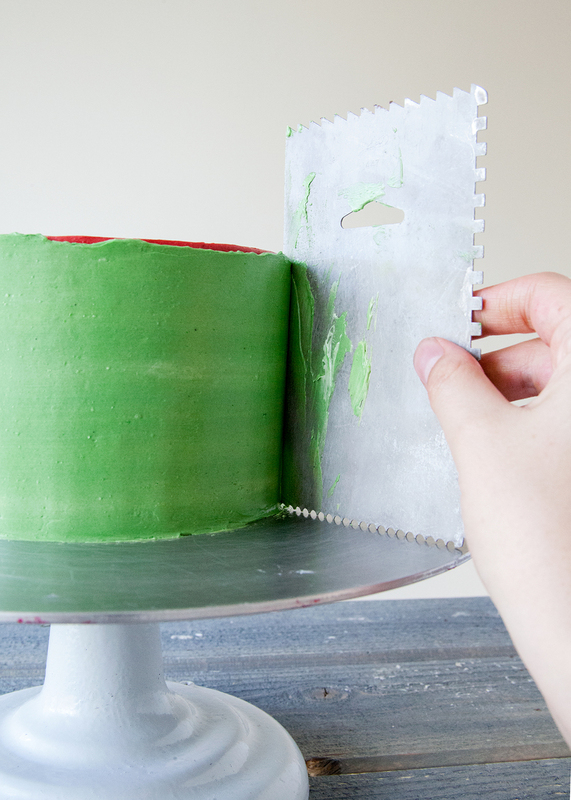 If you remember this ultimate birthday cake, then you know that my husband's first love will always be donuts. Sadly for him, I've actually never made him a proper, fried donut. Out of all the sweets in my repertoire, somehow I failed to make him this special treat (although I did make cheater-fried biscuit "donuts" for our 1st anniversary, and "donut" macarons for his birthday one year). The first time I saw a novelty donut cake pan, I immediately had to have it. 10 seconds later I put the pan down and walked away thinking that baked donuts are never the same and will probably never cut it. A couple years later, I find myself with a change of heart. I've seen dozens of mouth-watering donut recipes that seem to be calling my name lately, and decided that this is the year to turn baked donuts into a treat even my husband can enjoy. With the right recipe and flavor combination, surely I couldn't go wrong. 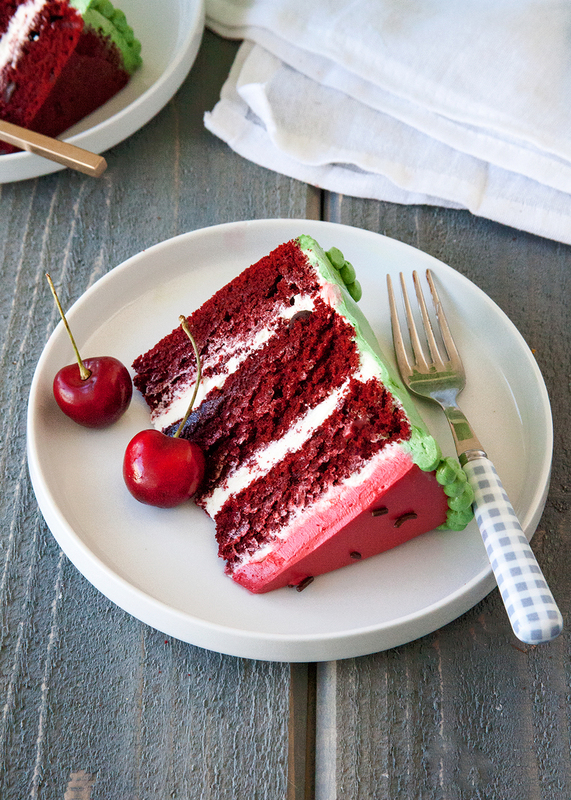 First up (and just in time for Valentine's Day), this RED HOT VELVET DONUT CAKE! Yes, I went there. Not only am I baking donuts at home now, but I've turned them into (what else), CAKE! Okay, just because they are stacked, doesn't automatically make them a cake, but they are baked cake-donuts and they do have icing. Although I hesitate to pretend that baked donuts are the same a freshly fried ones, this killer recipe sure makes up for it. And, lucky for all of you, my husband already taste-tested this as a pre-Valentine's treat (I'm sure all significant others of food bloggers can relate) and gives it his expert approval. Go ahead, spoil your sweetie with this whimsical wonder. These Red Hot Velvet Donuts make the perfect 2-serving “cake.” A cross between Mexican Hot Chocolate and luscious Red Velvet Cake, this treat is sweet with a bit of spice. Enjoy these on their own, with a cup o’ coffee, or stacked sky-high, because - why not? It’s time to celebrate! 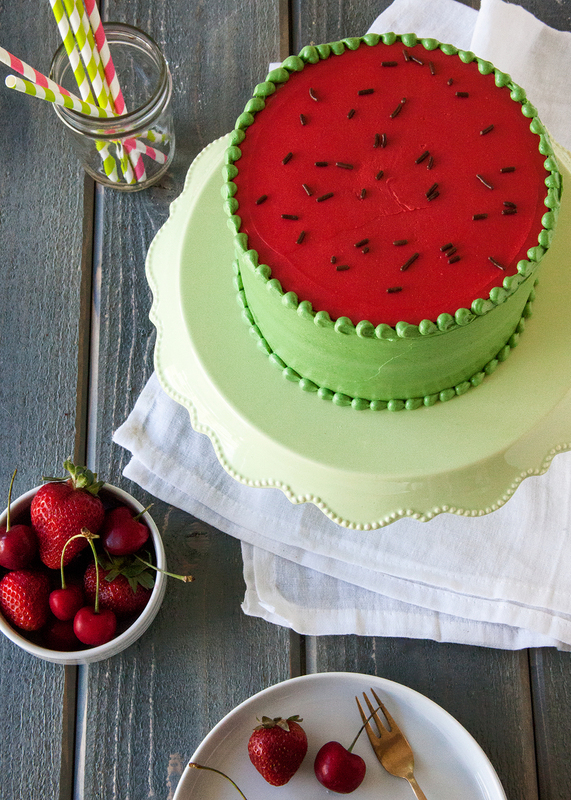 Head on over to Brit + Co. for the full recipe!